An open, upright mid-season Northern Highbush variety. Large, firm, flavorful berries are the most reliable and most widely planted of any cultivar. It has a long production season and good disease resistance. 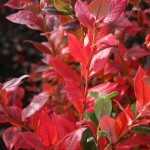 It has excellent red fall color. 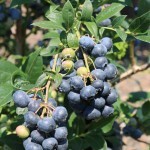 Blueberries grow best in full sun, in an acid, well-drained soil, with reliable summer moisture.